“Command Eleven”: What’s the Point of ISI’s Latest ‘Perception Management’ Operation? Day-to-day management of the mysteriously funded ‘think tank’ is led by Khalid Muhammad, author of ‘Agency Rules’, a spy-thriller that celebrates ISI and its fight ‘for the survival of the nation’. Agency Rules was published in 2014 by “Dead Drop Books” from Karachi, which seems to have only published one book – Khalid Muhammad’s pro-ISI fantasy fiction. What is not a secret is the close relations those involved with the website have with the military. 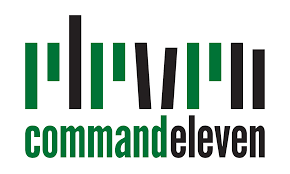 Contributors for CommandEleven.com include retired Pakistan military officers such as Colonel Azam Qadri (retired), and Syed Haider Raza Mehdi, a former Pakistan Military officer who now lives in Canada and works for a mobile phone company. Others so-called ‘analysts’ are not military, but have direct ties to organizations with close ties to Pakistan military and intelligence agencies. These include Zeeshan Shahid Khan and Syed Ali Zia Jaffery, both members of the “Center for Strategic & Contemporary Research” (CSCR), an obscure Islamabad ‘think-tank’ founded by individuals with close ties to agencies after they completed trainings at NDU. The question that must constantly be asked is what is the point? Do the strategic geniuses behind these operations believe that if they arrest critics and fill the internet with such obvious pro-Army propaganda that they will somehow not only manage ‘perceptions’ but reality also? Every day we hear more and more phrases like ‘information warfare’ and ‘psyops’ and ‘perception management’, but the truth is that bombings keep killing hundreds. Jihadis keep making more bombs. Banned groups raise more funds for jihad not from foreign agencies, but from our own citizens. And not once have any of these fake ‘defence analysts’ on social media say stopped any of them. So, if they are not actually making Pakistan safer…..what is the point exactly?